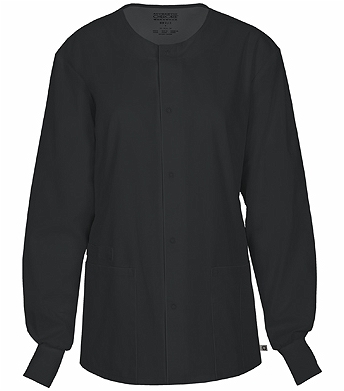 The Cherokee Workwear Unisex Snap Front Warm-Up Jacket 34350A is a new piece that you want to add to your work wardrobe. This jacket is comfortable and allows you to wear your scrub tops all year around. 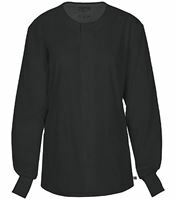 The short sleeve scrub tops are a great choice, as they allow you to move around in comfort, but they can also be cool to wear during the winter. Available in a variety of colors, this scrub jacket will be the perfect complement to your existing wardrobe. Antimicrobial fabric inhibits the growth of yeast and algae to keep you smelling fresh and healthy.